I enjoy bourbon; it’s great to drink, fun to talk about, and addicting to buy (hunt). It certainly makes for a great hobby, enhanced even more so when shared among good friends. It’s been a little over a year now that my brother in law (Jeff) and I created the Bourbon Brothers and began filming video reviews on our YouTube channel. In light of this, we wanted to drink something special and mark the occasion. We decided on Pappy 20 because it is one of the most asked about and hyped up whiskeys on our radar at the moment. Let’s see if this one lives up to the hype! Nose: One could easily pick this nose out of a lineup. The bouquet is soft yet rich. Vanilla and cinnamon spice can't be contained in the glass. Caramel is right behind along with a healthy amount of toasted oak- simply delicious. Taste: Sweeter than expected. The mouth feel leans towards the thin side, but it is exceptionally smooth. While oak is prevalent throughout, vanilla, toffee, and caramel popcorn grip the tip of the tongue. The mid palate transitions with swirls of cinnamon spice and an endless pit of aged tobacco. 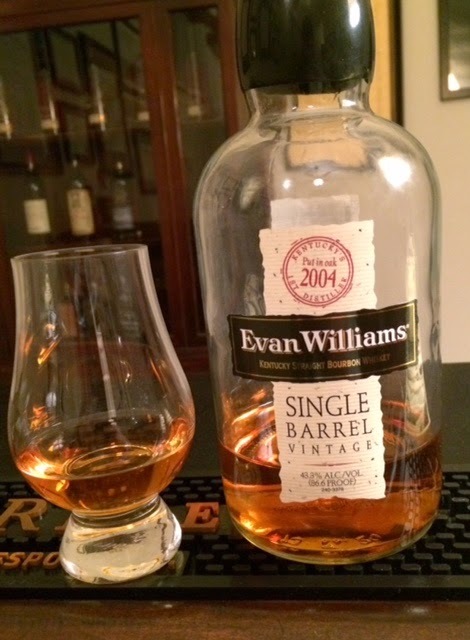 Finish: 20 years in the wood is no joke for a wheated bourbon. This has a medium finish with sweet-spice, dry tobacco, and bitter oak. Conclusion: Wheated bourbons have a much softer flavor profile than your typical high rye bourbon. After 20 years of aging, this soft, wheat profile is heavily influenced by the dry, astringent oak barrel. In efforts to reverse this effect, it's my belief the proof has been cut-significantly- to 90.2 proof (Pappy Van Winkle 15 year is 107 proof). While it's still very good bourbon, I would take proof over age any day. Nose: Up front smells of maraschino cherries , orange zest and caramel. On the back end there is heavy cinnamon with a slight oak spice and a faint nuttiness. Taste: Fluffy vanilla leads the charge onto the palate. The caramel and nuttiness from the nose carry over onto the tongue to combine for pleasant flavors, reminisent of a snickers bar. Baking spices (prominently cinnamon) also transfer from the nose to the mid palate. Finish: Short in length with black pepper spice and a musty, bitter oak. Conclusion: I was pleasantly surprised with this whiskey, given the low proof. While I hang my hat on my enjoyment of barrel proof bourbons, sometimes it's nice to slow the pace and relax with an easy drinker. This is an extremely smooth whiskey, but at 86 proof, we do sacrifice drinkability for flavor. Aside from the bitter finish, this is a fairly enjoyable whiskey. While I may not seek out further vintages, it is certainly worth the price tag of $25.